Laura Doyle, ’06, proves museums aren’t the only way to preserve cultural heritage. 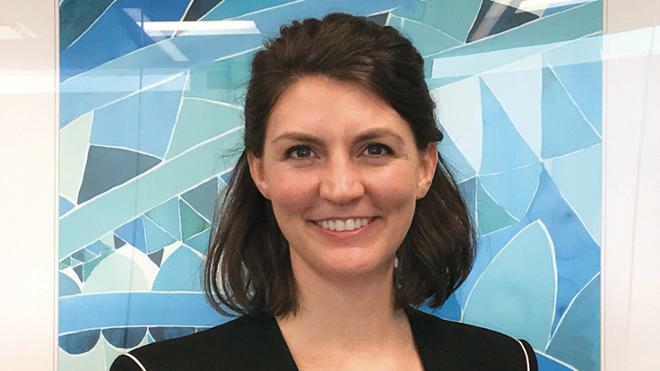 When Laura Doyle, ’06, decided to study art and business, the insurance industry was the last thing on her mind. But she found an unexpected fit in fine art. She got her start at Chubb, which insures everything from antiquities and pre-Columbian artifacts to contemporary art, as well as sports memorabilia and wine. The company also helps clients manage and protect private collections — something Doyle is passionate about preserving. As part of the risk management team, Doyle advised collectors on everything from installation and security to the packing and shipment of art works. She also consulted on museum loans. Doyle was recently promoted to her “dream job” as collections manager at Chubb. She is responsible for underwriting large collections and overseeing the strategic direction of the practice. She travels throughout North America attending art fairs, auctions, and museum and gallery shows to stay on top of trends in the market. A current focus is the growth of online art sales and educating clients about the risks of buying in those venues. Still, she says the best part of the job is talking to the collectors. Doyle and several other Spiders working in the arts in New York formed an informal networking group to share industry knowledge. Every summer they host a University Museums fellow, sharing their experience in insurance, commercial art, and museums with Richmond undergraduates.